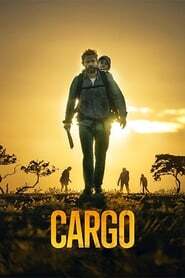 Plot: After being infected in the wake of a violent pandemic and with only 48 hours to live, a father struggles to find a new home for his baby daughter. It's watchable, but it's been done before so many times, and so much better. There are worse ways to pass the time, the acting is good, and the 'zombies' are visually quite interesting but the overall film is very much the definition of mediocre I think...just another forgettable cliche post-apocalyptic flick that does absolutely nothing to set itself aside. I was quite disappointed by this, there was something incredibly bland about it. On a side note, why do Netflix original films look so soulless? Is it lighting, cinematography, or something else? It's hard to put my finger on but they all reming me of tv movies shot in ultra hd.